It was a busy evening for Windows 10 at Microsoft's BUILD conference. Here's what's coming in the Windows for the next generation. Microsoft commenced its annual BUILD conference last night where it opened up about the future of Windows and other services and products. However, I won’t be overstating things if I say that it was Windows that grabbed the most attention. Microsoft will launch Windows 10 this year in the hope that it will be able to revive flagging PC sales, encourage the brand new hybrid segment and remove the wide gap that still exists between smart mobile devices and the PC. On the footsteps of Apple’s Continuity, comes Microsoft’s Continuum, a feature that does not merely share a similar name with Apple’s software feature. Just like Continuity, with Continuum, Microsoft wants to make it exceedingly easy for you to seamlessly use Windows on any type of supported device with any type of input and screen size. 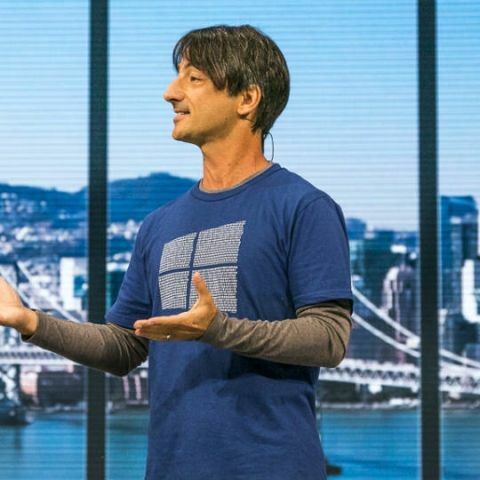 Joe Belfiore, Microsoft’s corporate vice president of operating systems, showed how with the help of Continuum, you will be able to plug in your Windows 10 phone to a monitor and ‘almost’ get a full-fledged PC. You will also be able to use a wireless keyboard+mouse setup and your Windows 10 device will automatically recognise the new input method. Belfiore further revealed that apps like Excel, Word, PowerPoint and Outlook (we’re also not sure if this means all Windows apps or only supported ones) will scale to the screen and change the way they work accordingly. 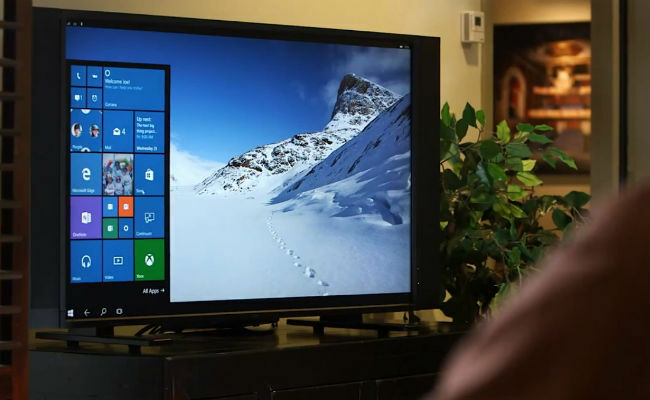 What the above suggests is that if you have a Windows 10 phone/tablet, you will be able to connect it via HDMI to a monitor, and using a Bluetooth keyboard+mouse, be able to work on PowerPoint or Excel just like you would on a traditional PC. Of course, Belfiore used the word ‘almost’ so we can’t really be sure at this moment if Continuum will be as seamless and exhaustive as we hope. In conjunction with the Windows 10 reveal at BUILD, Microsoft also made its newest build of Windows 10 available for download. While the previous downloadable build was branded as a ’Technical Preview’, the new one is branded ‘Insider Preview’. > New animations for Live Tiles in the Start Menu (which we assume are the changes we saw in the screenshots leaked yesterday), along with performance and stability tweaks for Live Tiles. > Better scaling of Windows interface elements with respect to high DPI monitors, multi-monitor setups and multi-monitor setups where each monitor has different DPI. 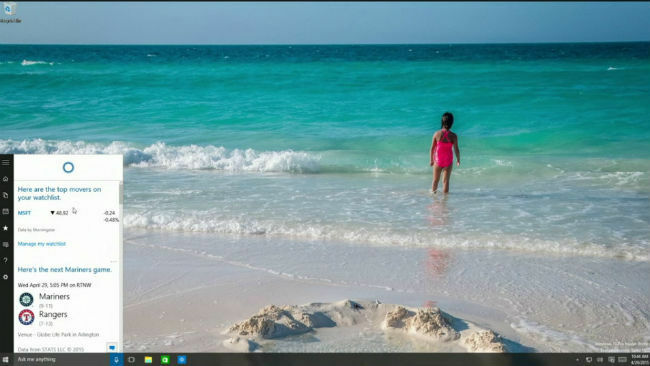 > Again, as revealed by yesterday’s leaked screenshots, the Aero frosted/blurred glass effect has been added to the Start Menu and taskbar. > A bunch of new system sounds including some with a fresh take on nostalgia. > Updated Xbox app which will allow you to record PC games, take screenshots and use Xbox controllers without needing to download separate drivers. One of the biggest announcements that Microsoft made at BUILD was that it was now making it much easier for developers to port their Android and iOS apps to Windows. This is a pretty big deal and I will tackle it in a separate story. Another huge announcement that Microsoft made was with respect to opening up the Windows Store to all desktop apps and not just the ‘Metro’ UI ones. This means that the Windows Store in Windows 10 will have traditional Win32 and .NET apps along with the new Metro UI touch focused ones. This will come as a pleasant surprise to all Windows users who wanted their favourite software to stay with the times in terms of interface, design, usability and security. This will also let Windows developers earn money for their software and keep their apps updated because now their apps will be able to make use of the built-in payments system of Windows Store along with the updates service. However, this doesn’t mean that you will get access to all your favourite software through the Windows 10 Store on day one. The app developers will still have to build their app along the guidelines for Windows 10 apps including ensuring that their apps run in a sandbox just like all Windows 8 modern apps. We’ve known for some time now that Windows 10 will come with the Cortana assistant that will be able to accept both typed and voice commands. At BUILD, Belfiore showed off how capable Cortana is and revealed that it will accept commands spoken naturally. You will also be able to issue commands to Cortana to do stuff with the help of another app without opening that app; for e.g. you can ask Cortana to send a Viber message to a contact without actually opening the app. Microsoft also revealed that Internet Explorer’s successor will be called ‘Edge’. Read more about it here. Is Windows 10\'s 1151 build available in Microsoft\'s ISO download page ? when will windows 10 launch??? ?